Welcome to HERBERT & ASSOCIATES Material Handling & Storage Experts. We are a full-line material handling distributor and installer. 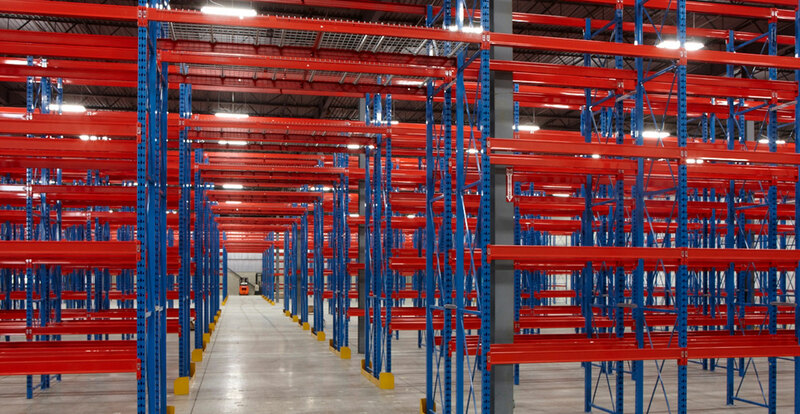 We have over fifty years of combined sales, design and installation experience in the industry, for pallet racking systems, shelving, lockers, and other warehousing needs, we are your nationwide choice in design and installation. 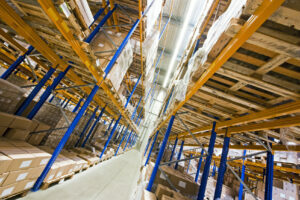 We also maintain a large supply of quality used – racking & shelving items. 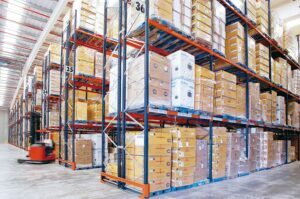 If you are expanding on a budget, please contact us to see if we have the right items that could fit straight in to your warehouse. If we don’t have it we can get it for you, just ask. 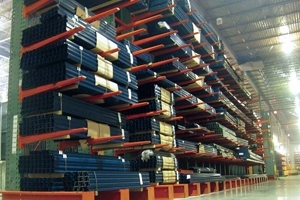 Structural Racking is made from high resistant hot rolled structural steel. 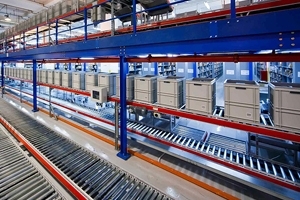 This Rack is designed for higher capacity applications. 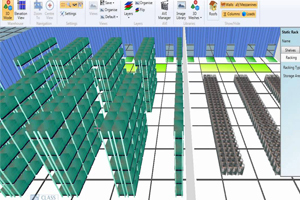 The carton flow system provides in-stock visibility so pick aisles are kept full and restocking can occur simultaneously. 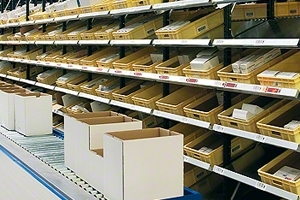 First-in/first-out (FIFO) traffic minimizes shelf time and keeps inventory fresh. 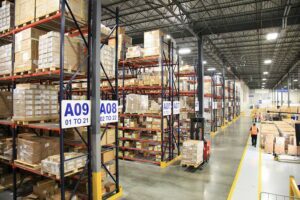 Pallet Flow systems fully utilize the available storage space while ensuring the faces along the picking aisle remain regularly stocked. 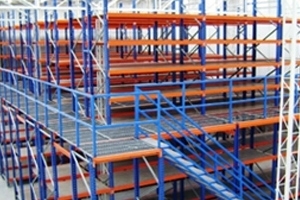 Mezzanine floors can give you a vast amount of extra floor space. 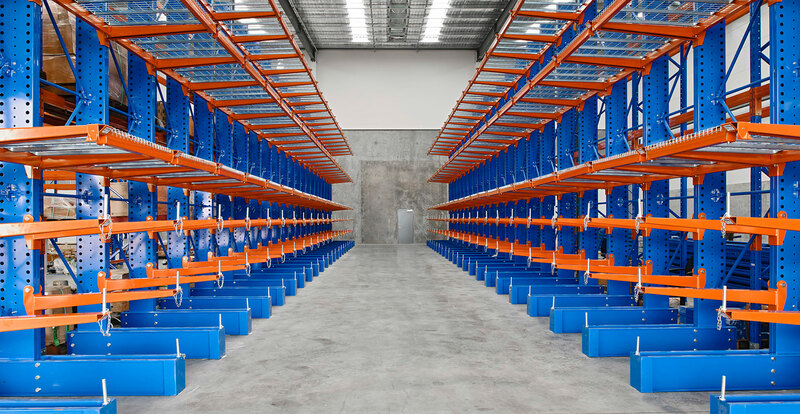 They can also be useful for storing products away from your main warehouse area. 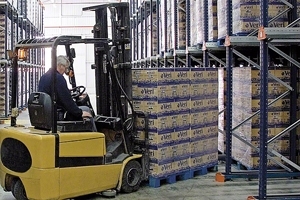 Belt or Roller Power Conveyors are put in motion by an electric motor to help move its load stable to its designation. 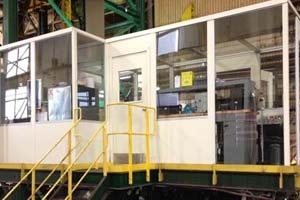 Workstation Systems are very common in a warehouse where it is needed or required, it becomes the primary work surface . 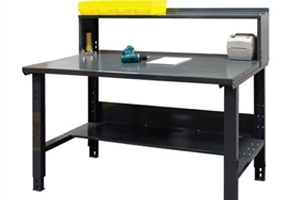 Workstation Systems provide sorting bins within reach for the worker for tools or supplies. 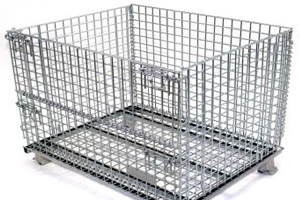 Wire mesh containers are lightweight and very durable, maintaining a low weight to load ratio with a 4,000 lb. capacity. 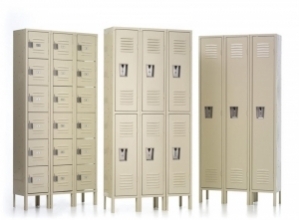 Lockers are ideal for colleges, high school, locker rooms, changing rooms and gyms with one long door with a lock, one shelf inside to accommodate personal items and coat hooks for hanging items. 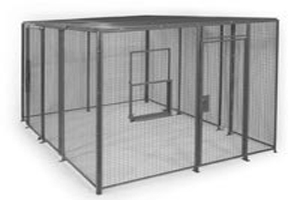 SpaceGuard Wire Partitions provide a strong heavy duty panel of 6 gauge wire welded at every contact point. Install is fast and easy tan a traditional woven wire mesh panels. 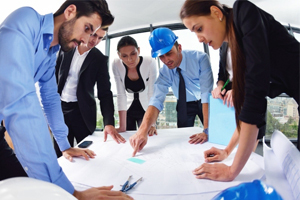 Modular Office systems are clean and easily built in fraction of time without dust and clutter when compared to conventional construction with less cost of building construction required and can be relocated or rearranged if needed. 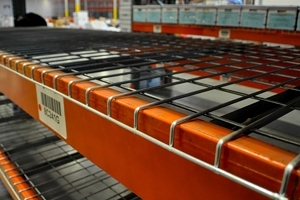 Open Wire Decking is used in most warehouses, distribution centers and manufacturing plants.Wire Decking is a durable way for storage it helps prevent pallets from falling through the rack structure. 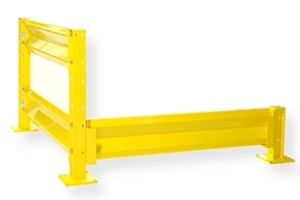 Guard Rails control and protect important areas in your facility or warehouse. Separate traffic zones from restricted areas. 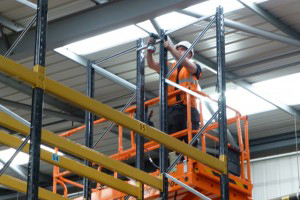 Scissor lifts provide an ergonomic solution to lifting, positioning and transporting heavy loads. 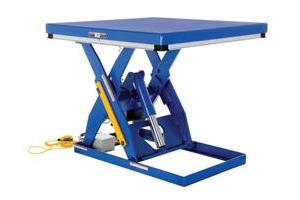 Foot operated hydraulic lift pump raises the platform to any height within the lift range to reduce risk of injury from lifting and bending.